Changing the way you do business. Specialising in the marketing and sales of property and businesses, this unique service is the product of the experience of Dale Wilcox, a professional Accountant and experienced Business Broker with 35 years in senior management roles, combined with the marketing expertise of Bruce Reynolds, Managing Director of Crush, one of Perth’s most established and successful marketing businesses. Crush has an extensive track record with many highly successful corporate clients across a variety of industries, as well as innovative start ups and business rebrands. With a passion for great brands and seeing businesses succeed, Crush Business Sales was created as a niche product for people looking to sell their business to a buyer who shares their vision for success. For buyers, Crush Business Sales only list quality businesses that have potential for growth and profit. When purchasing a business through Crush Business Sales, you can be assured that the business will have a strong brand, a strategic plan in place and a complete analysis of the business systems and financial performance. This fresh approach to business sales will not only benefit both buyers and sellers, this process also gives us the insight to fully understand your product and unique offering within the market which will enable us to secure a buyer that is the ‘perfect match’. Not looking to sell your business but want to increase profit? In addition to our Business Sales and marketing service we offer a Business Advisory Service, including preparation of strategic plans and business plans and the development of profit improvement strategies. Want to know more about our marketing experience? Visit the Crush website. 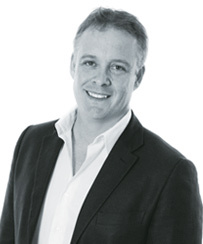 Bruce Reynolds is the founder of Crush, one of Perth’s most established and successful marketing companies that has provided extensive real estate marketing services for over 18 years. As a Director of RE/MAX Central,Crush Business & Crush Marketing, Bruce Reynolds brings his marketing and business building expertise to the real estate table to add value for both the buyer and the seller. Bruce’s experience as both a marketing professional and Managing Director has taught him that strong sales results are a bi-product of a great product with awesome marketing and planning behind it. Speak to Bruce to find out how a professional, strategic approach to your marketing can make all the difference. Dale Wilcox is a professional Accountant and licensed Real Estate Agent with many years of experience buying and selling businesses and properties. Specialising in the areas of business sales, advice on business acquisitions and residential property sales for investors, Dale has over 35 years of experience in senior management roles, including Principal Internal Auditor with British Airways, Director with PricewaterhouseCoopers, Chief Operations Officer with NMG Financial Services and Director with Sigma Business Sales. 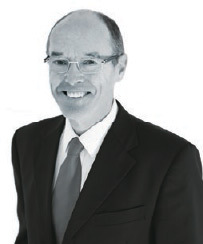 Dale is also a past President of the Western Australian Branch of the Chartered Institute of Management Accountants. Speak to Dale to see how his financial expertise can assist you in securing a sound property investment.